Madeleine’s Miniatures are inspired by the art and jewellery of the Tudor period. Portrait miniatures first emerged in the 16th century when they were used as personal presents, political gifts and served to promote the image of royalty. Madeleine has used this idea to explore the history of different groups of people across the centuries, celebrating remarkable women ranging from Royal Mistresses to the Queens of Jazz. 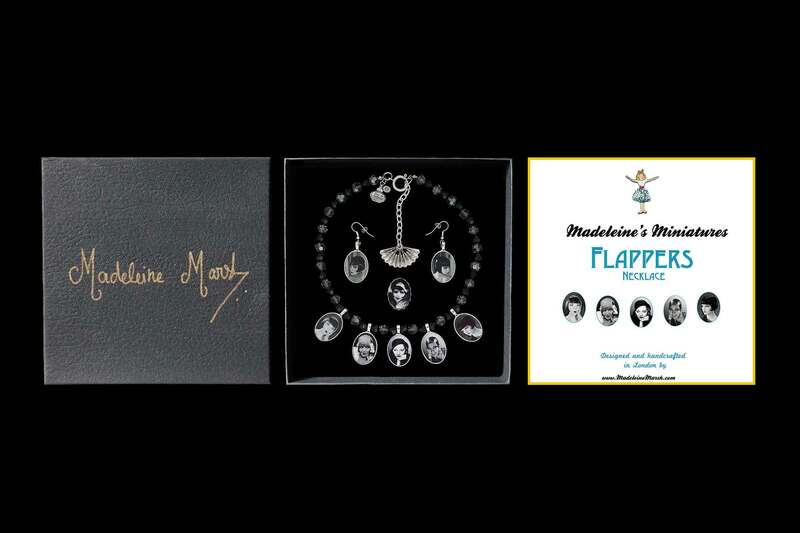 Each necklace tells a story in portraits or photographs and comes with a historical account of the figures illustrated. Madeleine also makes one-off necklaces on commission and if you have a story that you would like told in portrait miniatures, please contact her.